Ready to get out this spring? Well, now’s the time to hit the water and do some freshwater fishing. Check out Juneks CJDR’s list of “secret” spots below. Rapid Creek – The creek, which winds through Rapid City, is renowned by locals for its healthy and active trout population and numerous fishing holes – a few that see little use by anglers. Park Creek – While Sturgis is often associated with motorcycles, at least by tourists, there is plenty of fishing to do at the Sturgis Reservoirs and at Park Creek. Both offer healthy trout populations. Spearfish Creek – Open year-round for intrepid fly fishermen who are willing to brave the terrain, the creek itself is known for its trout population, but nearby lakes and reservoirs also offer access to bass and walleye. 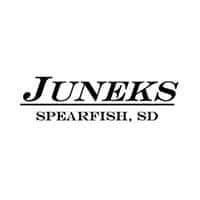 While these great spots make the list for Juneks CDJR, there are hundreds of creeks, streams, lakes, and reservoirs across South Dakota and Wyoming that deliver stunning views, fine fishing, and peace and quiet. Before you go, check local and state regulations to make sure these locations are open. Questions about campgrounds around Spearfish, SD, or even hiking spots? Contact our family-owned dealership today.